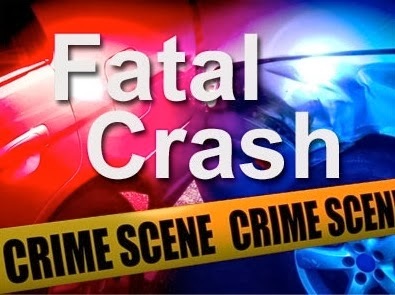 MAYS LANDING – Two New Jersey men pleaded guilty to vehicular homicide for racing on the highway and causing the 2011 single-vehicle crash in Egg Harbor City that killed a 19-year-old woman, Acting Atlantic County Prosecutor Jim McClain announced today. Kevin Dilks, 22, of Chatsworth, NJ, and Alec Kavanagh, 22, of Browns Mills, NJ, each pleaded guilty to vehicular homicide for causing the Egg Harbor City motor-vehicle crash on October 23, 2011, that took the life of 19-year-old Ashley Adams, of Southampton, NJ. A Jeep Cherokee, driven by Kevin Dilks, was traveling south on Clarks Landing Road when the driver lost control of the vehicle, which left the highway and overturned, coming to rest against several trees. The female passenger, Ashley Adams, 19, of Southampton, NJ, had been ejected from the vehicle and sustained serious injuries. She was flown to Atlanticare Regional Medical Center in Atlantic City. Adams was pronounced dead at the hospital, the cause of death: multiple blunt force traumas. The subsequent investigation by the Atlantic County Prosecutor’s Office and the Egg Harbor City Police Department led to Kevin Dilks’ arrest three days later for charges of vehicular homicide, driving under the influence, reckless driving, and underage drinking, and the issuance of a warrant upon indictment for Alec Kavanaugh on January 30, 2013. Vehicular homicide, a second-degree crime, is punishable by 5 to 10 years imprisonment. Pursuant to the No Early Release Act (NERA), each must serve 85% of the prison sentence before becoming eligible for parole. Both men remain released on bail, and are scheduled for sentencing before Atlantic County Superior Court Judge Bernard E. DeLury, Alec Kavanagh on May 23rd, and Kevin Dilks on August 1st.